Minidoka Memorial Hospital (MMH) was established in the fall of 1960 to serve the population of and visitors to Minidoka County. Since that time MMH has expanded and advanced to become a vital part of the Mini-Cassia (Minidoka and Cassia Counties) area wellness and healthcare network. With a medical staff of more than twenty physicians and continuous advancements in technology, most healthcare needs are met without leaving the local area. With local control and local decision-making capabilities we are a true ‘community hospital’. Joint replacement, with option of computer assisted navigation, laparoscopic and general surgery along with a full array of out-patient services and the convenience of our rehabilitation and long term care capabilities just down the hall at Countryside Care and Rehabilitation we complete the experience from start to finish. 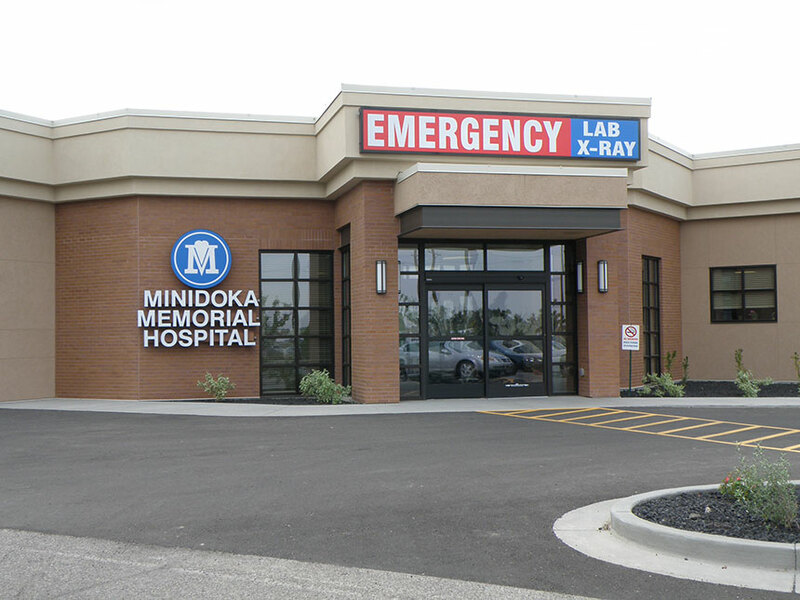 Minidoka Memorial Hospital is known for the personalized care by our dedicated and professional staff and physicians. We are a community hospital with community values; however, we provide exceptional care and consistently positive outcomes. In 2012, the expansion was completed to create a technologically advanced Emergency Department along with new out-patient departments and upgraded medical floor rooms. Minidoka Memorial Hospital has never stood still and we will continue to meet and surpass the needs and expectations of our community and those that visit the Mini-Cassia area. Visit us www.minidokamemorial.com or stop by for a lunch prepared by Chef Jeff Stromire and a quick tour.